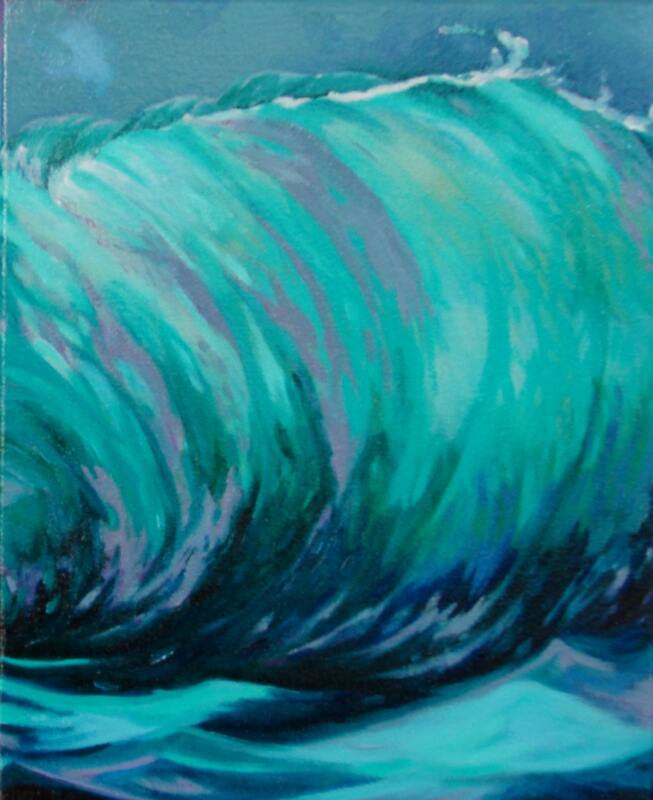 Small original oil painting is a myriad of blues,ultramarine,indigo, turquoise, and manganese blue. Soft delicate greens are the highlight. Accented with cobalt violet. A single perfect wave is at the very brink of breaking as moonlight shines through. !2 inches high by 9 inches wide. Perfect beach memory!